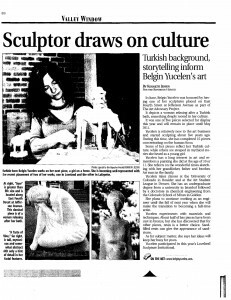 By Kenneth Jessen In June, Belgin Yucelen was honored by having one of her sculptures placed on East Fourth Street at Jefferson Avenue as part of The Art Advocacy Project. It depicts a woman relaxing after a Turkish bath, something deeply rooted in her culture. It was one of five pieces selected for display this year and will remain in place until May 2011. Yucelen is relatively new to the art business and started sculpting about five years ago. During this time, she has completed 15 pieces concentrating on the human form. Some of her pieces reflect her Turkish culture, while others are steeped in mythical stories she heard as a young girl. Yucelen has a long interest in art and remembers a painting she did at the age of 10 or 11. She reflects on the wonderful times sketching with her grandfather, father and brother. Art runs in the family. Yucelen takes classes at the University of Colorado in Boulder and at the Art Student League in Denver. She has an undergraduate degree from a university in Istanbul followed by a doctorate in chemical engineering from the Colorado School of Mines in Golden. She plans to continue working as an engineer until the fall of next year when she will make the transition to becoming a full-time artist. 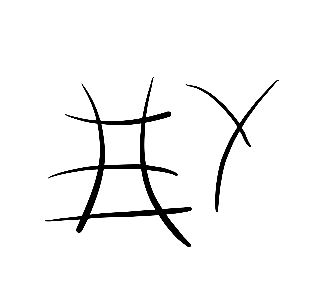 Yucelen experiments with materials and techniques. About half of her pieces have been cast in bronze, but she has discovered that for other pieces, resin is a better choice. Sand-filled resin can give the appearance of sandstone. As for subject matter, she says her ideas will keep her busy for years. Yucelen participated in this year’s Loveland Sculpture Invitational. ON THE NET: www.belginyucelen.com.